Home> Resource> iOS Recovery> How to Recover Recorded Videos from iPhone X/8/8 Plus? How to Recover Recorded Videos from iPhone X/8/8 Plus? Summary: If you like to record iPhone screen in the daily life, then the recorded videos must also important for you, right? So this post is going to tell you how to recover recorded videos on iPhone after mistakenly deletion, lost or formatting. More and more iPhone users want to record their iPhone's screen for special purposes, but before the iOS 11, the only official way to record iPhone's screen is to connect iPhone to Mac and use QuickTime Player. Obviously, it is a little bit troublesome, so lots of users choose to record the screen with unofficial apps like Airs. Now, in iOS 11, you can use the built in "Screen Recording" to capture screens directly. 2. 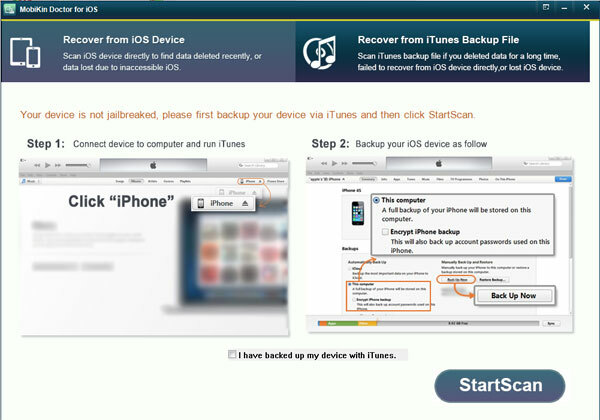 If you don't have backups, you can still choose to retrieve recorded screencast from iPhone directly. However, whatever your final decision is, you need to find a reliable yet well performed iPhone Data Recovery software as your personal assistant. That's why MobiKin Doctor for iOS (Windows/Mac) comes here. With it, you can easily get access to your iPhone's internal memory or iTunes backups, and extract you lost or deleted videos, photos, contacts, messages, call logs, etc. as you like. How to Recover Recorded Videos from iPhone without Backup? Step 1. 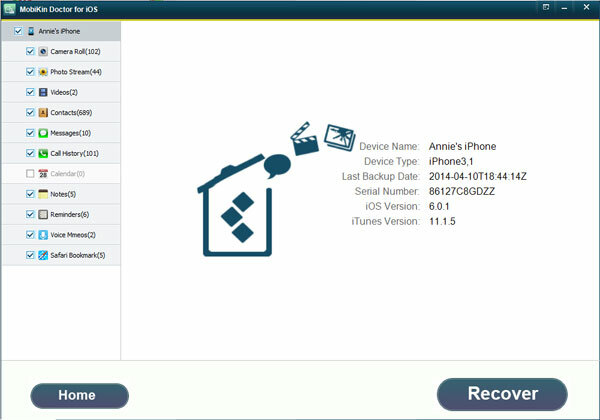 Connect iPhone to computer with USB cable, then launch the installed iPhone Data Recovery software on your computer. After that, directly choose "Recover from iOS Device". Step 2. Hit "Start Scan" button on the main screen and wait for the end of the process. Step 3. Select "Videos" in the left panel, and preview the video list in the program. Tick the one you wish to restore, and hit "Recover" button to save them on your computer. Step 2. 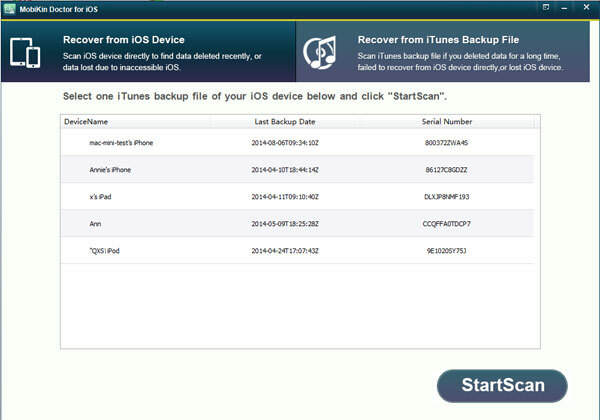 Choose the iTunes backup that you wish to extract your lost data, and hit "Start Scan" button to begin the scanning. Step 3. 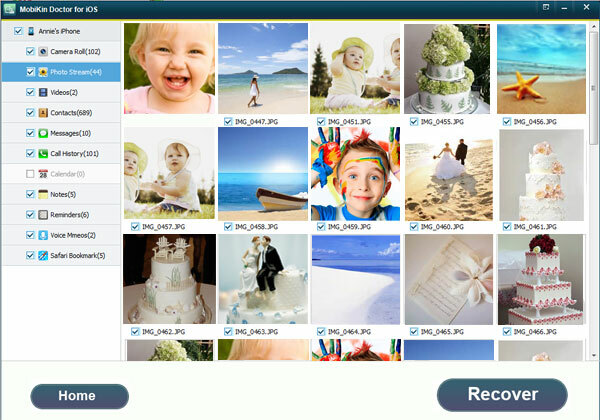 Now, you can preview all video files and locate your target files, then tick them and hit "Recover" button to restore it. [Fixed] iOS 11 Screen Recording is Not Working, How to Fix It? How to Record iPhone Screen in iOS 11? iOS 11: How to Improve iPhone Battery Life? iPhone Won't Sync with iTunes after Upgrading to iOS 11, How to Fix It? iMessage Not Working on iOS 11, How to Fix It?